Full Time Hobby has recently announced the signing of US singer/songwriter Samantha Crain. Samantha Crain has been compared to Beth Orton and Suzanne Vega with her songs oozing variety and confidence. 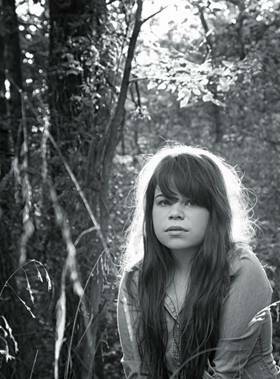 Rolling Stone named Samantha Crain as an Artist to Watch in May 2013, saying she, ‘embraces both joy and anguish’. Crain plays with a revolving cast of musicians including fiddle player Daniel Foulks. She released her debut EP, The Confiscation, in 2007 and has released three albums since. Crain’s new album, Kid Face, will be released in the UK on January 13 2014. A wildly original album that stands out as a definitive statement from an uncommonly insightful and fearlessly honest young singer songwriter. Produced by John Vanderslice, (The Mountain Goats & Spoon) – Crain has delivered an instantly accessible gem enabling her to explore the full range of her achingly vulnerable voice with lyric and song. The album’s title is a nickname she closely identifies with as she is regularly mistaken for a 16 year old and treated accordingly. Crain explains: “It gives me a great insight into people’s character and plenty of material as a songwriter”. Although initially inspired by the sounds of her father’s record collection including Bob Dylan and Neil Young, an adolescent Crain took even greater solace in the music of her home state from the Americana of Woody Guthrie to the sonic experiments of the Flaming Lips. Albums: Kid Face, Songs in the Night, You (Understood).